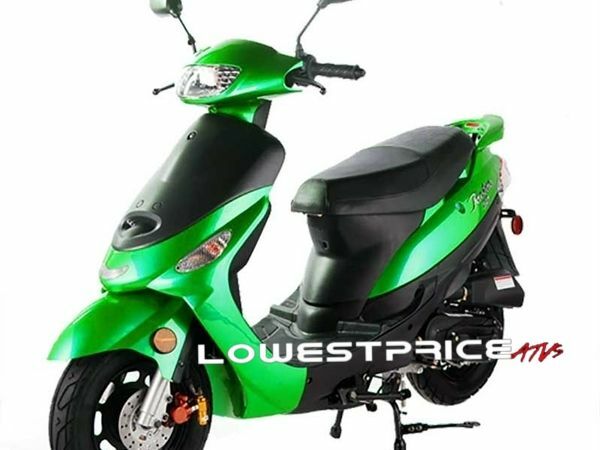 If you are looking for an easy-to-ride, inexpensive scooter, then you won’t want to miss the TaoTao PONY-50 scooter. 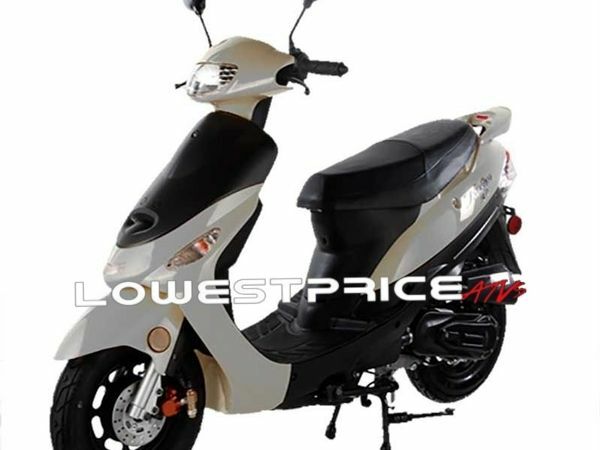 The PONY-50 not only saves you money, it also looks great! 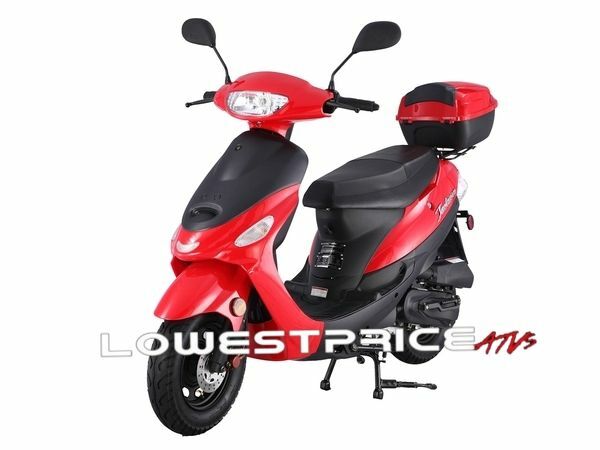 The Tao Tao PONY-50 scooter is fully automatic and comes equipped with a 49cc engine. 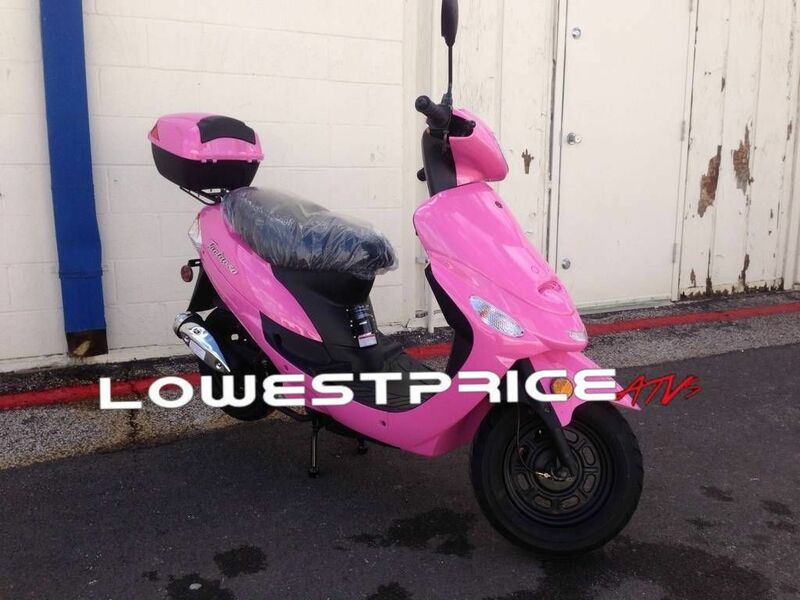 With top speeds of 30-35mph, this fun TaoTao 49cc street legal scooter is perfect for riding in and around town. 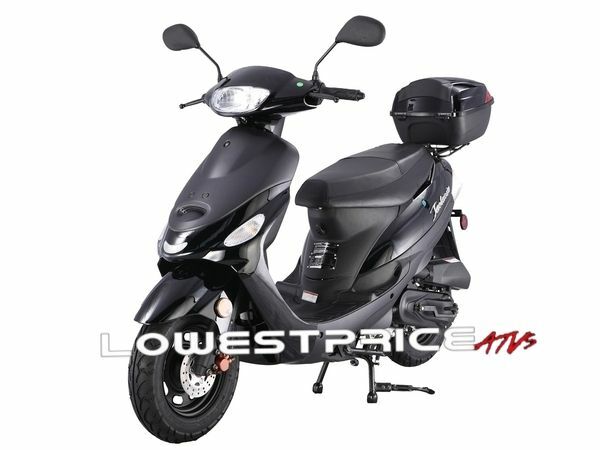 Whether you are looking for a way to get around school or around the city, the PONY-50 50cc scooter is a great choice. When you purchase a TaoTao PONY-50 from Lowest Price Atv, you will receive a free matching trunk, which is great for storing the items you need when you’re on the go! 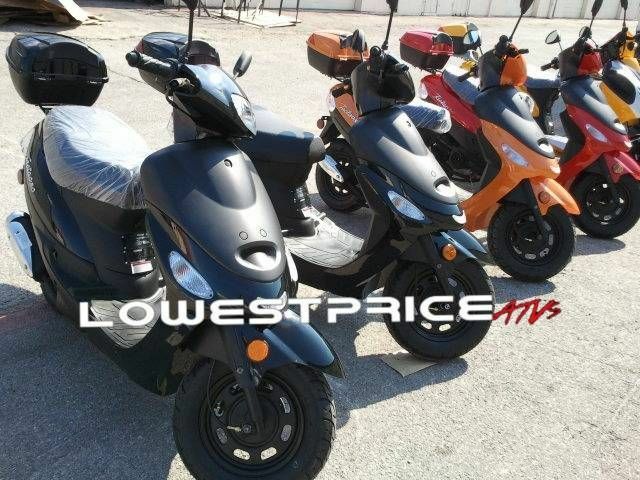 If you have questions or need additional information regarding this and other scooters, don’t be afraid to give us a call at 1 (800) 424-3160. Wider and brighter mirrors and blinkers allow for great visibility and lets others clearly know when you are changing lanes. Reliable rear drum allows for smooth stopping at any given moment. 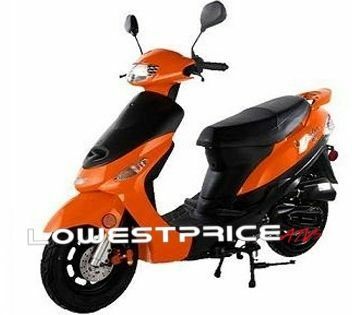 With two ways to start your scooter; it is always great to have reliable back-up in any situation. 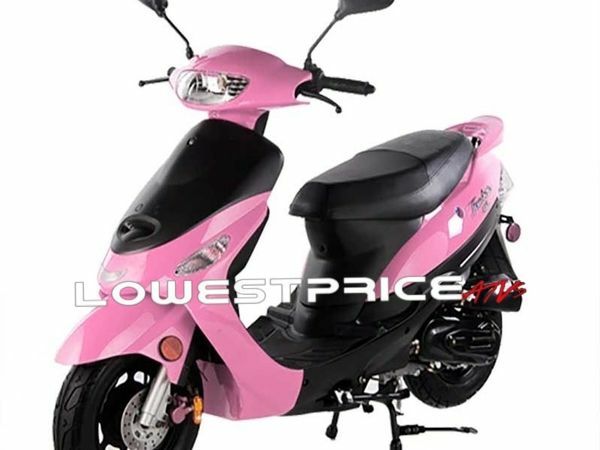 Resistant material will allow you rest your foot. Can withstand the constant wear and tear of everyday use.